The developer of the failed $3 billion casino bid at the Gold Coast spit has lodged a development application for a super-slim beachfront skyscraper on Garfield Terrace in Surfers Paradise. The ASX-listed ASF Group submitted the proposal for 50 luxury residential units across 31-storeys on a tight 607sq m site. The proposed tower will comprise 46 two-bedroom apartments, three sub-penthouses (four-bedroom apartments) and just one five-bedroom, ultra-prestige, three-storey penthouse. ASF acquired the site in early 2016 for $4,860,000, signing on architecture firm Blight Rayner and landscape architecture firm Byrns Lardner to steer the landscape-heavy design. The main pedestrian entrance to the tower will be via Thornton Street, with communal recreation facilities including a yoga room, gym, club lounge and outdoor “infinity” pool proposed for the ground floor. The building will feature an “automatic valet parking” system, with an operable lift taking just 86 seconds to store a car after a driver exits the vehicle. The addition of the car parking system will allow the developer to more than double the amount of car parking spaces on the small 600sq m site. If approved, the 104-metre tower site will be one of four 30-plus storey towers approved by council within a one kilometre radius of the site. 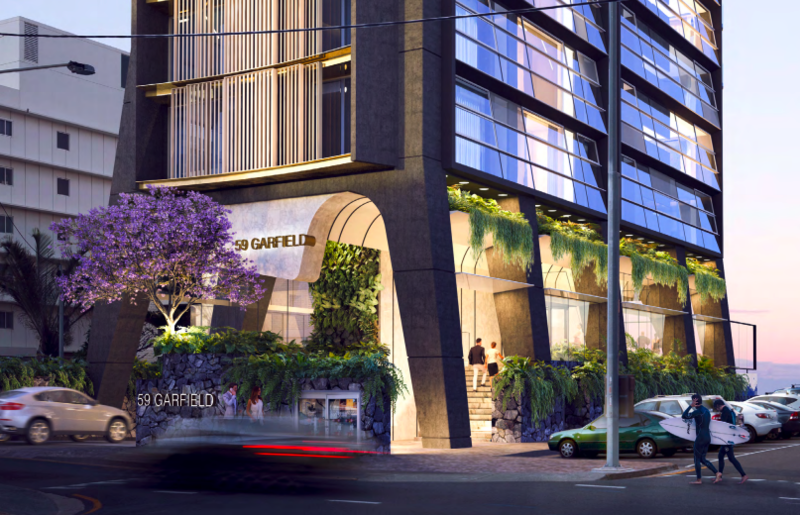 A number of luxury residential projects are under way close to ASF’s Garfield Street proposal, as developer’s respond to the growing demand for larger apartments on the Gold Coast. 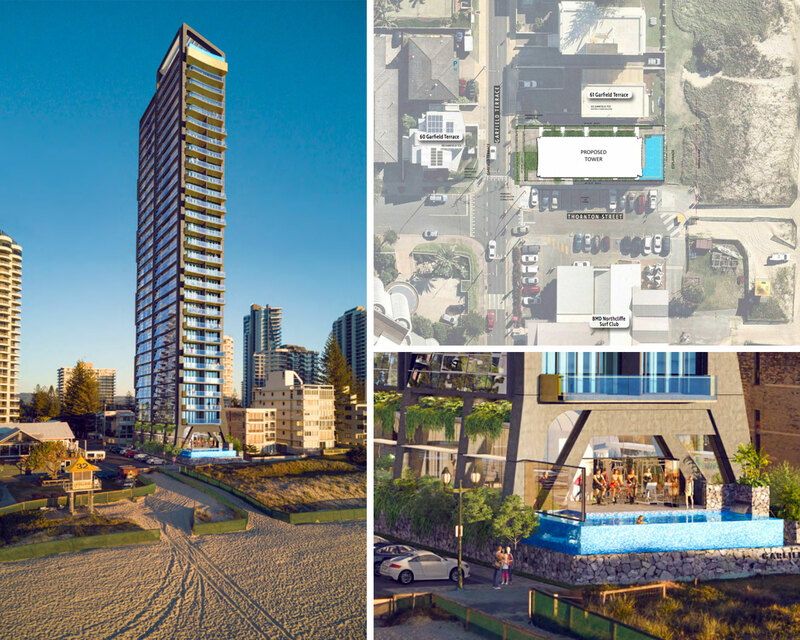 The development application pointed to continual renewal south of the Surfers Paradise centre – led by Yuhu Group’s Jewel – as the “centre zone of Surfers Paradise grows”. “A series of approved towers, up to 30 storeys, are positioned within the precinct of the proposed site,” the application said. Yuhu Group’s $1 billion luxury Jewel development reached topping out stage in mid-August. ASF Group’s Australian projects include the “Au” towers in Surfers Paradise and Southport, a 4-star beachfront hotel at Main Beach and the masterplanned three-stage Peninsula Hope Island community. In London, ASF has proposed the $9 billion Castle Green urban renewal project which, if approved, will include the building of 15,000 dwellings and 370,000sq m of commercial, retail and community buildings. The tower will cost an estimated $35 million to build and will aim for a 4 Star Green Star rating.